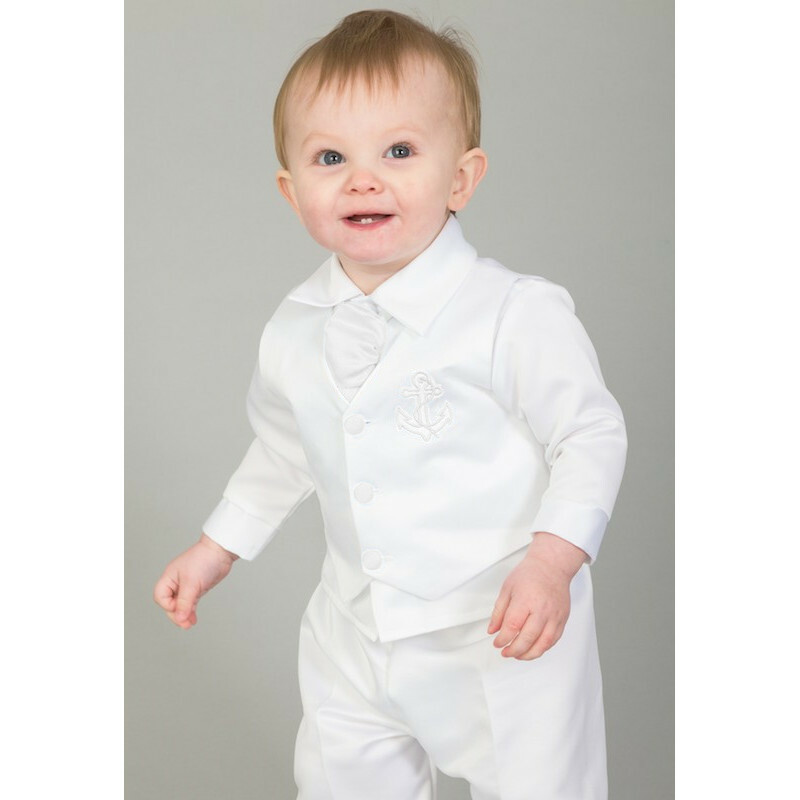 Baby boys white anchor 5 piece satin suit, perfect outfit for any special occasion including a christening, wedding, special occasions etc. 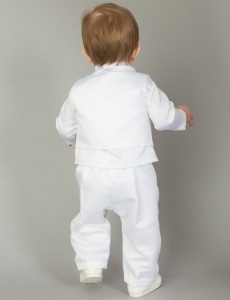 Waistcoat: White satin effect waistcoat with an embroidered anchor on the front, fully lined, 3 centre buttons, plain back. Tie: White satin effect scrunchy tie with knot. Elasticated for the perfect fit, complimenting the suit perfectly. 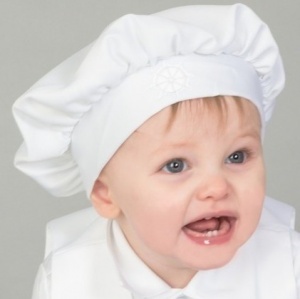 This sailor style outfit will make your little baby boy look like the perfect handsome gentleman.